Easter came a little early for this chickadee because look what I found at my local TJ Maxx?! 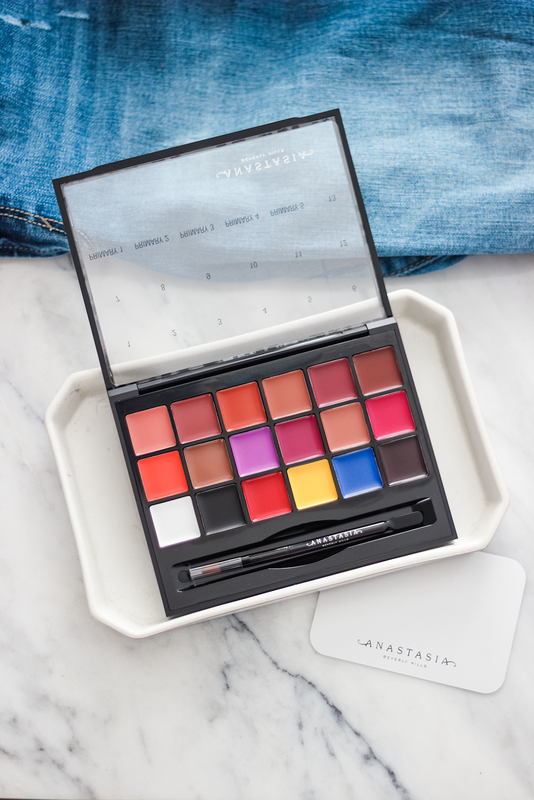 It's the Anastasia Beverly Hills Lip Palette, it's been on my lust list for forever and it was only $25 (normally $42)! 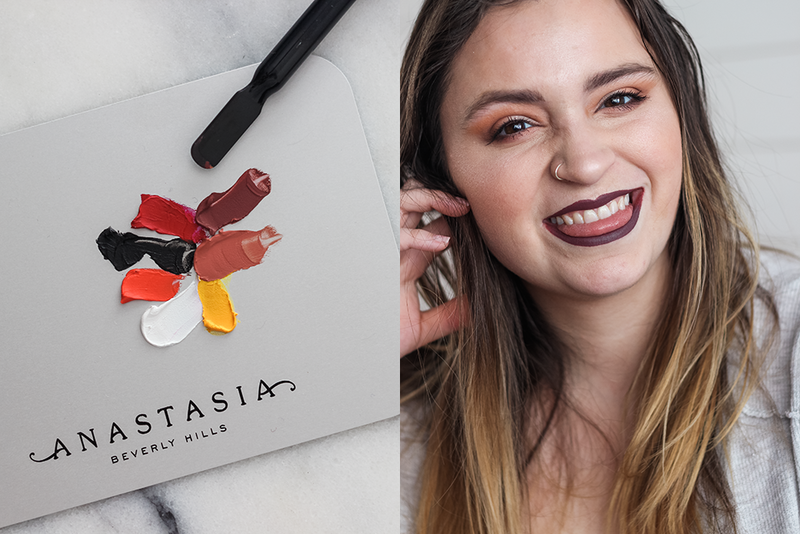 The Anastasia Beverly Hills Vol. 1 Lip Palette ($25 at TJ Maxx / $42 online) is for every person out there doing their makeup that at one point or another thought, "Ah, man. I wish I had a lipstick in that color." That has totally been me in the past. I was super happy to stumble upon this at TJ Maxx (for nearly half price!) but this palette is also still available online. 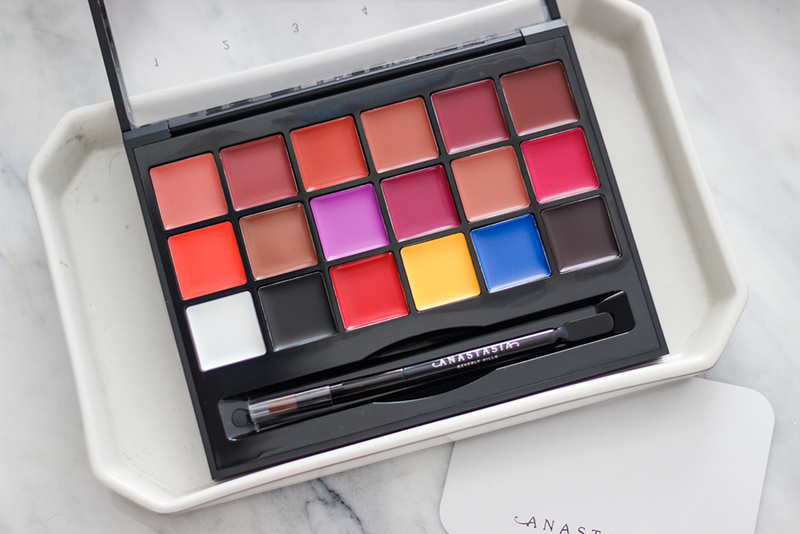 The palette contains 13 shades of roses, pinks, oranges, purples and browns as well as primary colors to mix in (or wear on their own). The palette itself has a clear lid (LOVE THIS!) with a magnetic closure. It seems incredibly sturdy but I haven't dropped it yet (in due time, I'm sure). To be honest, I didn't know what to expect with the finish on these shades. Would they be matte? Satin? Would they be opaque or sheer? The formula and feel of each shade is very creamy and smooth. Surprisingly, they were also very opaque. The finish is satin at first and then dries down to a matte (about an hour into wearing them). They're not transfer-proof. I know that can seem like a bummer but honestly, I still enjoyed wearing it. The only thing that kind of stinks about custom-making your own shade is not being able to touch up while you're out. Temptalia had this amazing idea to buy a retractable lip brush (with a lid) and then scoop some lipstick up on the brush before you head out and put the lid on. That way you'll have at least one application with you. Super smart! 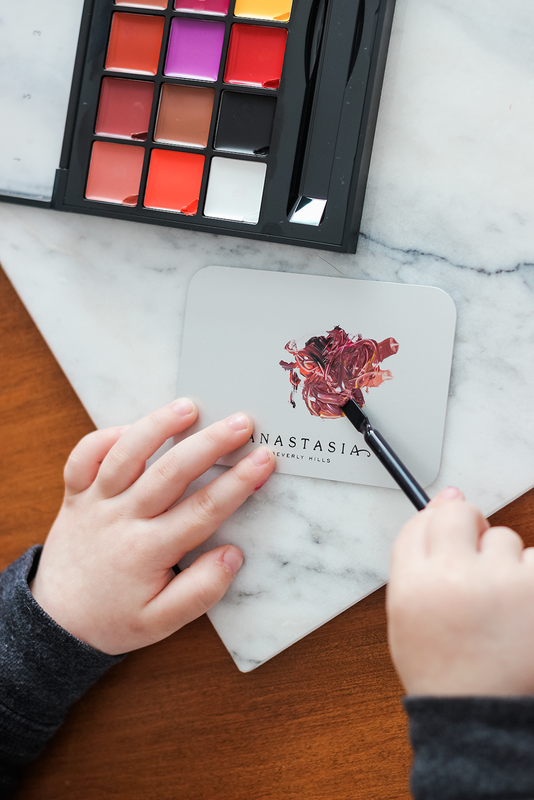 The palette also comes with a dual-sided tool - one side has a spatula to pick up and even mix the product and the other side, a lip brush used to apply the lipstick. A small mixing palette (see picture below) also comes with the palette. I knew I wanted to mix some fun colors to test out but than my three year old saw mommy mixing some "paint" together and wanted in on the action. So I let him take the reign and honestly guys, he came out with some pretty awesome colors. As you can see from above, you only need a super small amount of lipstick to have enough (and then some!) for your lips. I mean, this green is to die for! He used green, blue and a smidge of #7. And this pink? YES, PLEASE. He used equal parts #1, #7 and #9. I may have an artist on my hands, guys. My little mixologist! Wait. Is that just for bartenders? Overall thoughts: If you're like me and enjoy fun colors and mixing colors together, I think this is totally for you. 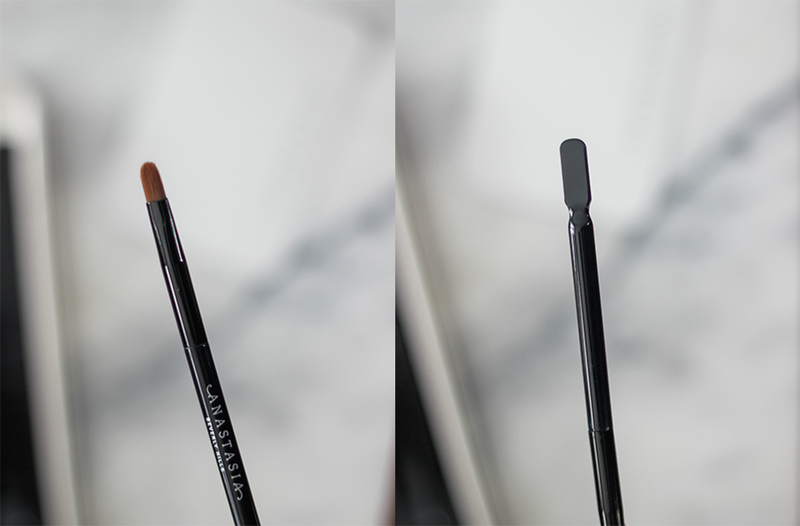 If you don't mind not being able to touch up (unless you use Temptalia's super smart tip), this can totally work for you! If you're really a one-lipstick type of person (hey, that's awesome too!) 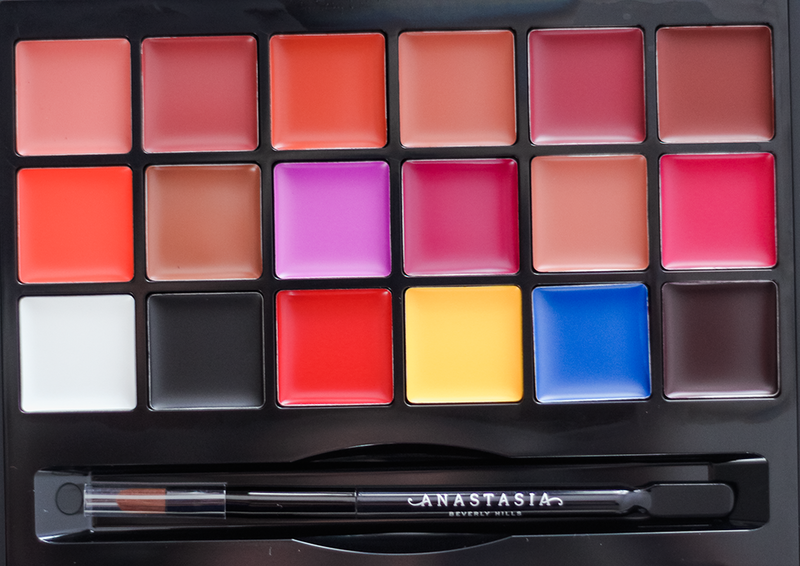 or like to touch up while you're out, then you probably wouldn't get much use out of this palette. 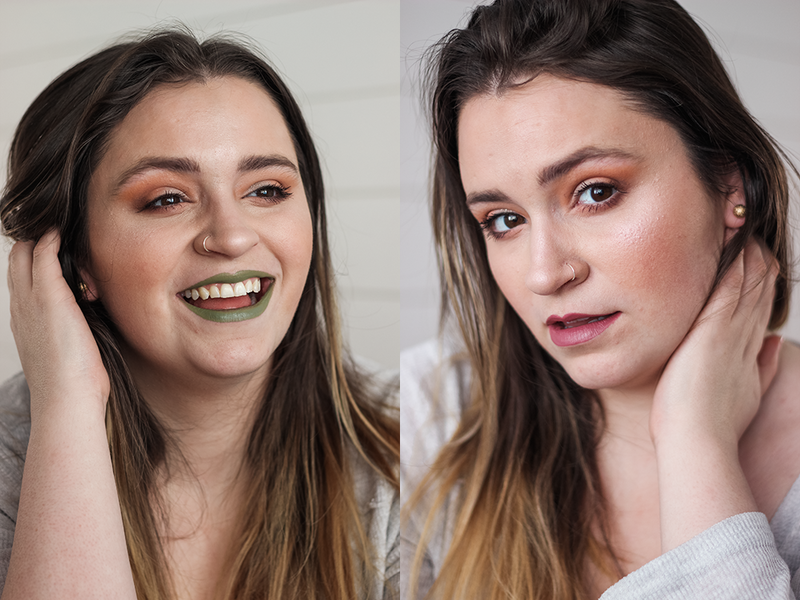 Naturally, I'm the worst enabler and say step out of your comfort zone and try on a shade you wouldn't normally wear, if you do end up purchasing this! What's one lipstick shade you'd create?